Tax season is a stressful time. Even if you’re ahead of the game or adept at filing, you’re likely surrounded by other adults who aren’t as speedy or savvy. For them, it’s a good thing that those who are well-organized, mathematically inclined, and meticulous become tax preparers. For individuals or small businesses, these people are a godsend. They take control during tax season, thus taking a load off those typically distraught by the process. You’re here because you’re ready to step into that role. Not only does it come with the perk of helping others, but you will also rake in a salary of at least $24,600, although you could earn upwards of $60,000, depending on where you work. On top of that, you can work from home and make the same salary. Now that you’re appropriately incentivized, here are six steps for turning tax preparation into a home-based career that you’ll enjoy. Great news for any aspiring tax preparers who don’t have time to go back and get another degree — no collegiate training is required to get the job. However, people in your chosen profession typically have a high school diploma, so make sure yours is finished before you start applying for work in the field. Beyond that, a tax preparer will have to use a computer, so know your way around a PC before starting. Most will have some customer service experience, or at least, a knack for smiling at clients, even if they’re slightly testy. It probably goes without saying, but this career path requires that you love math and that you’re good at it, too. Without hands-on experience, you might have to sign up for training to find work as a tax preparer. 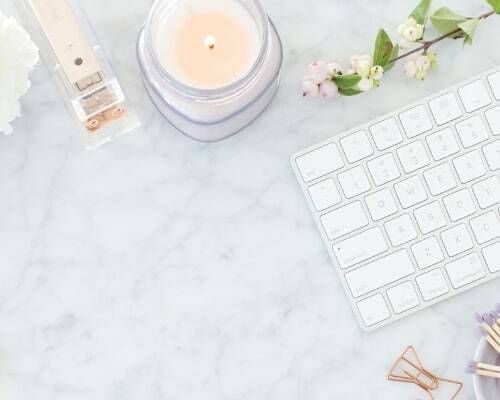 Even if you’re self-employed, you’ll want these bullet points on your resume; potential clients will feel assured knowing you’ve learned all the rules before taking care of their taxes. When seeking a training program, start your search with the Accreditation Council for Accountancy and Taxation, as it has an Accredited Tax Preparer Credential. Once you earn your credentials, clients will know you have proven knowledge of the tax code and how to prepare an individual’s taxes. You might also consider courses offered or endorsed by the National Association of Tax Professionals. Beyond that, you can reach out to your local community college to see if it offers a training course to get you started. You could also take a few years to work for a company that’ll cover the costs of these courses before branching out into your own business. Must-read news never seems to end these days. Once you become a tax preparer, it’ll be up to you to keep abreast of any changes in regulations. This will be a vital part of your job, so be sure to keep up with any regulatory changes. Sweeping changes or minor tweaks can have enormous implications for your clients, and as the person in charge of filing their taxes, it’s up to you to know what to do and how much they’ll owe. For example, the current administration has proposed a cap on how much property tax individuals can deduct from their federal tax payment. Although some states are challenging the plan, this information and other policy changes could affect your customers. Stay up-to-date and reap continued professional success. Your Preparer Tax Identity Number (PTIN) is the real key to your career. That’s because the IRS requires you to have a PTIN before you can accept money in return for your tax-preparation services. In other words, you can’t get paid without this number, so obtain one as soon as you’re ready to get to work. In order to get your number, log onto the IRS website. There, you’ll have to submit personal information, such as your Social Security number, as well as a previous tax filing you made for yourself. If you’ve had prior criminal convictions, you will have to disclose them. Then, there’s a $50 fee to finish it all off. Once you have your PTIN, you’ll earn the status of “unenrolled preparer.” You might not be an “enrolled preparer” — more on that later — but you will have the right to prepare and file federal tax returns for a particular type of client. You have your PTIN, but it doesn’t give you the freedom to represent all the clients you envision. If you find yourself feeling limited, you might consider upgrading from an unenrolled preparer to a bona fide, enrolled professional. As an enrolled preparer, you will be licensed by the IRS to practice. You’ll have to work for that distinction, though. There’s a three-part exam that covers not only individual and business tax preparation, but also federal tax planning and representation. Plus, you’ll have to maintain your status with 72 hours of continued education every three years. In other words, the IRS is going to make sure you stick to our third piece of advice on this list and stay up-to-date on any tax-related news or regulations. Of course, there are steps beyond even this distinction. If you’re already considering going to school — or studying again — you might prefer to become a CPA, tax attorney, or licensed tax accountant. Your student loans will be higher, but so will your prestige and payoff. If you hope to work for yourself, then this type of training could boost your image and feed into your bottom line. When it comes to building your own business, there are plenty of tips out there from people who have traversed the same path. They’ll tell you to leverage your talents, draw up a business plan and get to work. The same goes for your tax-preparation business. There are a few steps to add, though. For starters, you might want to consider taking a job with someone else’s firm first to gain experience and, potentially, a customer base to bring with you to your own company down the line. 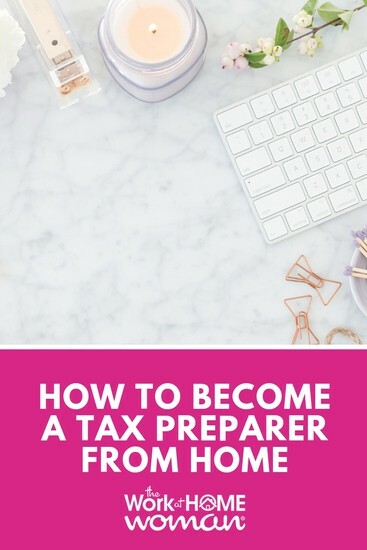 To that end, you could reach out to family and friends and offer to do their taxes for free or for a discount, to create references for yourself and your skills. Once you’re ready to branch out on your own, all you have to remember is that you are your business. As such, your work should be impeccable; customers will spread the word about their meticulous tax preparer, which will create more and more buzz and business for you. Ultimately, that’s what you’ll need to keep your at-home business afloat. To that effect, make sure you have a place in your home set aside for work only. Whether it’s a room you turn into an office or an alcove with a desk and computer, make sure you have a professional setup to provide even more integrity. The good news is that these six steps are the perfect sextet. Follow along, and you’ll be well on your way to the career you want. Plus, you can work from home and for yourself, thus shaping your future without anyone else’s interest but your own. All there’s left to do is get started. How did you get started as a tax preparer? What other tips do you have? Drop us a note; we'd love to hear from you!